Hello, hello! So sorry for the late start up this week but we had a crazy busy and fun weekend. I really thought that I would get home early enough last night to get the post up so I didn't prewrite it and schedule it. Oops. Oh well. Better late than never right? 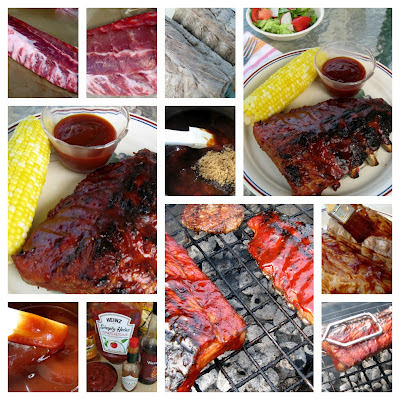 The theme of today's features are all things that would be perfect for a summer BBQ. Can you tell I am ready for the fun and relaxation of summer? The first feature is this healthy alternative to your normal Dill Veggie Dip from Coping With Frugality. It looks like it would be delicious on veggies or crackers while still leaving room and calories to enjoy all the other goodies that summer bbq's usually bring. 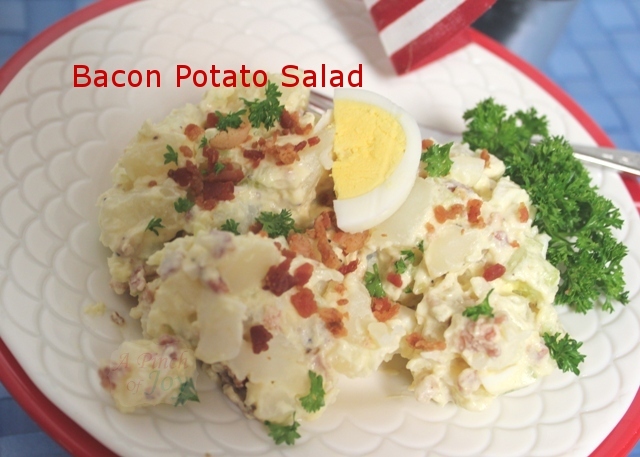 Next up is this amazing looking Bacon Potato Salad from A Pinch Of Joy. 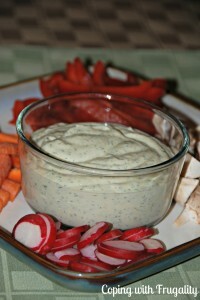 Talk about a great side dish for your next picnic or party. I am always looking for new things to add to our summer meals and this looks like a perfect option. Now onto the main course! These Baby Back Barbeque Ribs from Now Things Are Cookin' are so impressive! As someone who leaves the meat cooking and grilling to my husband, I am so inspired by Laura's ability to make these on her own. They look like the perfect summer dinner treat. If you were featured you can feel free to grab a button from my sidebar. I am hoping to soon be fancy enough to include that in my posts and will hopefully be designing a Mealtime Monday and an "I was featured..." button in the not too distant future. Visit at least two new blogs and show them some love.